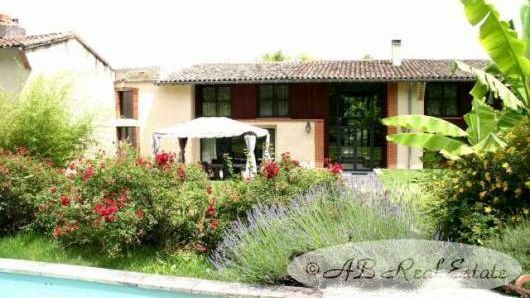 two stories, 8 bedrooms easily to divide into a private part and a wing for guests, pool, garage and nice, 1 ha garden close to the Canal du Midi. A spacious, very well renovated property for a large family. Very interesting as a profitable B&B and gite business. Nearby all amenities, Toulouse and its international airport. Not too far from the Pyrenees, the Mediterranean sea and Spain.